What are Sedbuk efficiency ratings? 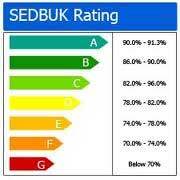 Sedbuk stands for ‘seasonal efficiency of a domestic boiler in the UK’ and is now given as a percentage score, rather than as a letter. Under typical UK climate, housing conditions and occupancy patterns, the score is an estimate of efficiency of the boiler. How are Sedbuk ratings calculated? The Sedbuk rating, which was developed under the UK Government’s Energy Efficiency Best Practice Programme with the help of boiler manufacturers, enables you to fairly compare different models of boiler. The Sedbuk rating is calculated from the results of standard laboratory tests together with other important factors such as boiler type and the kind of fuel used. 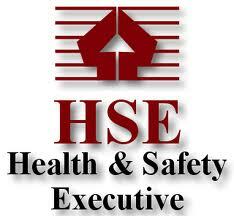 Sometimes you will see it stated as ‘SAP 2005’ or ‘SAP 2009’ depending on the testing method used. Conventional boilers have a Sedbuk rating from around 66-81% efficient, while condensing boilers are between 85% and 91% efficient (SAP 2005). Legislation now requires all newly-installed boilers to be at least 88% efficient (SAP 2009). Boilers with a score below 90% are still being sold but these will disappear over time as new models come to the market. My Sedbuk rating is a letter, not a number? [image position=”right” title=”SEDBUK boiler ratings” alt=”SEDBUK boiler ratings” left_padding=”10″ right_padding=”10″ url=”http://www.fmintelligence.co.uk/wp-content/uploads/2012/03/boiler-efficiency-ratings.jpg” width=”300″ height=”268″/]The Sedbuk efficiency rating is now a percentage score and this score has replaced the old A-D labels for boilers. 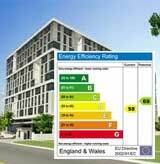 The letter labels have been withdrawn to avoid confusion with the European energy labels, which use similar ratings but are based on different principles. The chart across shows how the new percentage scores relate to the old letter categories.